I’m doing double duty this month during the A to Z Blogging Challenge. Here at Heather Erickson Author/Writer/Speaker, I will share ways to increase your creativity. 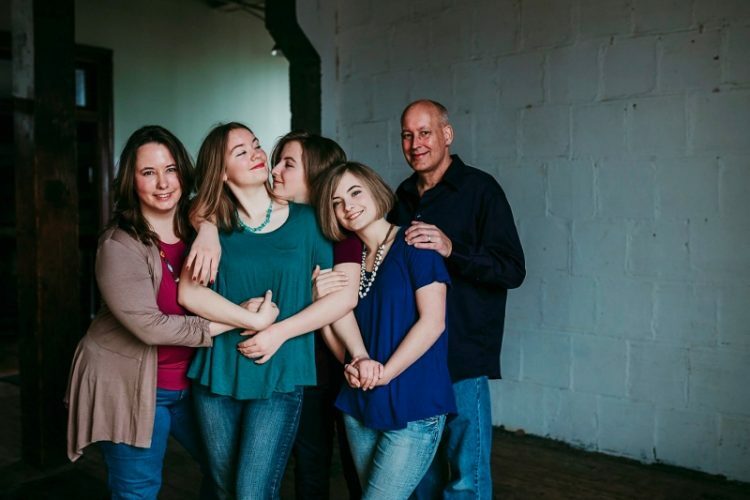 I’ll also be doing the challenge at Facing Cancer with Grace, where I will share posts that focus on caregiving. I hope you’ll visit me at both sites. While you’re here, sign up for my email list. Today’s post is X for Eliminate eXpectations. Expectations are a good thing, though…right? Well, sometimes. But usually, when you eliminate expectations you are also removing psychological roadblocks in the way of your creativity. What do I mean by that? Here’s an example. 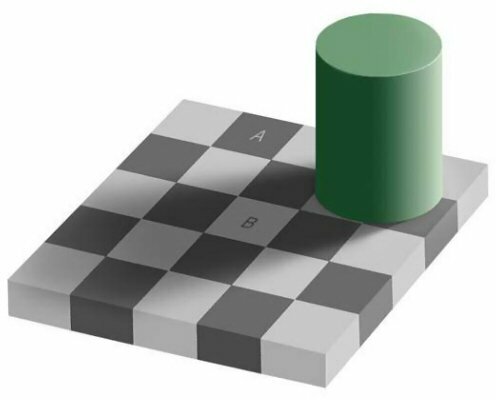 Would you believe square A is the exact same shade of gray as square B? But what does an optical illusion have to do with creative expectations? When we compare our work to the work of others, it changes how we see it. When I was in the 8th grade, we had a teacher who liked to tell us, “Blowing out someone else’s candle won’t make yours burn brighter.” It wasn’t original to him but it stayed with me all of these years. We aren’t in a competition. Yet we often end up blowing out our own candle! Whenever you compare your work to someone else’s, you will run into issues related to expectations. This can be really difficult to combat when you consider how much media we take in every day, often related to your area of creative expertise. As a reader, I read all the time, and I learn from it. But I have to be careful not to judge my writing by comparing it to someone else’s. They have their voice and I have mine. There’s room enough in this world for both. Eliminate expectations of what your writing (or any creative project) should be like. Instead, work on it as if it is in a vacuum, completely independent of anyone else’s. Whether those expectations are high or low, this can be a problem. Trying to live up to someone’s high expectations can leave you feeling discouraged when you miss the mark. And when someone makes it clear that they have low expectations, you can feel just as bad—if not worse. Instead, be open to possibilities. Block out the noise when other people make remarks about how they anticipate you will do as a writer or artist. When I was younger, I was a talented artist, able to draw very realistic pictures of anything I saw. I was particularity good at portraits. Then, one day my dad asked me why I never did any “real art.” Everything I did was realistic, not “creative.” This wounded me terribly. I stopped making the art I loved and tried more fantasy based art that meant nothing to me. I was just trying to win his approval. And I got it, but I lost my love of drawing and painting because what I was doing no longer meant anything to me. Ultimately, I quit. That was an immature response to what I’m sure my dad meant as encouragement. But even now, it hurts to think about what I lost. You might stop short of your work being the best it can be because it is better than something you’ve done in the past. So you are satisfied. But what if it could have been even better? While you can learn from work you’ve done in the past, don’t unintentionally be limited by it. Stop reciting should haves, could haves, and would haves from your vocabulary in relationship to your creativity. They only make you feel like you’ve missed the mark. Instead, look for opportunities to turn lemons into lemonade. Maybe you messed up on something and you’re ready to throw it in the trash because it doesn’t meet the expectations you had when you first set out to work on the project. It might not be what you ultimately need, but it could be something completely different. Many writers, including myself, never throw out their mistakes. Often when I am editing, I eliminate whole chapters because they don’t fit in with the book well enough to stay there. I can always use them as a basis for something in the future. So, I keep a file of documents on my computer with ideas, characters, and whole chapters of non-fiction work that I can use in the future. When you eliminate expectations from your creative life, you get a purer perspective. “Expectations are the thief of joy” was a quote that really struck home for me. Every time I’m disappointed it’s because I’ve allowed expectation to build up – often far above what it should be and I’ve crashed and burned. I’m slowly learning to nip expectation in the bud and just enjoy what comes. This is an important post for me, Heather. People have all kinds of expectations of me based on my previous work and I have internalized those expectations for myself. However, I’m at a point in my life where I want to do something completely different and I’m struggling to not compare past to present. I’m doing a pretty good job of not getting caught in the well-worn tracks of how I did my past work, but am a long way from feeling the creative freedom necessary to ignore expectations, my own and others, to just play and see what happens. Thanks so much for the encouragement and this very timely post. Hi Karen. I am so glad to have been an encouragement. It is so difficult to try something new. So often there is a learning curve that can make us feel somewhat discouraged. I have a feeling you will do a beautiful job in your new endeavor. And it will be fun to learn something new and have fresh experiences. There is a lot of truth in this, Heather. Some people do write to sell–to comply with what is popular. It probably works for sales but not for the reasons I write. Which are more in line with your post. Hi Jacqui. As you know, if your reasons for writing are deeper than popularity, you will feel far more satisfaction and peace. I often need to remind myself of this. Hurt pride crops up once in a while. Then, I remember that applause is not why I write. I’d seen that optical illusion before. It’s so weird how that works. I like that thing about the candle. A great way to express the idea. Thank you, Liz. Optical illusions are so fascinating. There’s a fun show called Brain Games that does a great job of exploring why our brain can be tricked by them. That optical illusion is a great way to visually explain your point. Thank you, Patricia. Have a wonderful weekend! More great wisdom and guidance, Heather, thanks. I slip too easily into expectation-mode and then discard projects to take the populist path. Hi Roland. Sometimes just setting something aside for a while can help breath new life into it. I have been working on a story I wrote for NaNoWriMo in 2016. There was just something that wasn’t working with it. So. I set it aside for several months (a few times) Then, this past week I was thinking about it, again. I haven’t looked at it in almost a year. I realized I needed to change the time period in which my story took place, from the early 2000’s to the early seventies. This is all really helpful advice. I’m guilty of comparing myself to others sometimes and it really does me no favours. That optical illusion is so hard to believe, it’s funny how the brain works. this was great heather – this challenge has been such a learning curve in terms of my eXpectations of myself and my writing. sometimes I feel that I have not quite nailed it and of course in severe cases this is when I can give up. refusing to give up I kept on and am slowly learning to edit savagely put stuff aside for another day and accept that on this day this is the best I can offer. Hi Sandra. I’m so glad you were a part of A to Z. I loved reading about the forest and its wonderful inhabitants. I love your phrase, “edit savagely.” I have learned to do that. It’s not easy, but sometimes that pruning process is good for gardens, words, and for us.